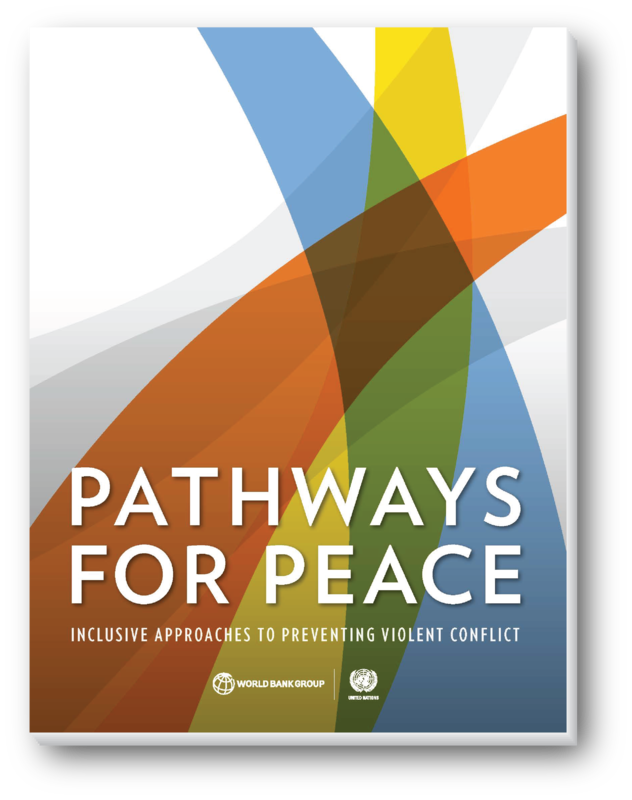 Pathways for Peace is a joint United Nations–World Bank Group study that originates from the conviction that the international community’s attention must urgently be refocused on prevention. A scaled-up system for preventive action would save between US$5 billion and US$70 billion per year, which could be reinvested in reducing poverty and improving the well-being of populations. The study aims to improve the way in which domestic development processes interact with security, diplomacy, mediation, and other efforts to prevent conflicts from becoming violent. It stresses the importance of grievances related to exclusion—from access to power, natural resources, security and justice, for example—that are at the root of many violent conflicts today. Based on a review of cases in which prevention has been successful, the study makes recommendations for countries facing emerging risks of violent conflict as well as for the international community.